Zheng was hired by GE in 2008. He has been suspected by his company for years, according to the federal criminal complaint. “GE installed monitoring software on Zheng’s computer(s) in an attempt to determine what information he was encrypting, and what he was doing with the information,” according to the complaint obtained by the Albany Times Union. Zheng is a naturalized U.S. citizen who also holds citizenship in China. When the FBI searched Zheng’s home, they found from his passport that Zheng had been to China five times in the past two years. They also seized a handbook that described resources the Chinese regime provided to people who provide certain technological know-how to the regime. Federal investigators said they found out Zheng was involved in several aviation technology companies in China, some of which were funded by Beijing. In addition, Zheng previously told officials at GE that he and his brothers own a technology company in Nanjing City, Jiangsu Province, that supplies parts for civil aviation engines. Turbine technology can be used for wind power generation, which is a new energy industry that Beijing wishes to further develop for its national interests. Many Chinese firms get financial support from the central authorities. 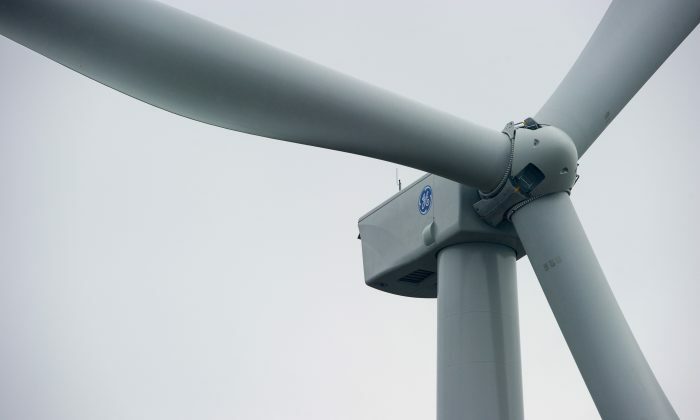 The GE case is not the first instance of intellectual property theft in the turbine industry. In January, Chinese wind turbine maker Sinovel Wind Group Co. was convicted of federal charges that it stole trade secrets from AMSC, an American energy technology company, that resulted in losses of over $800 million for AMSC.